Yeast amino acids are derived from Saccharomyces, a genus of fungi that includes many species of yeasts. 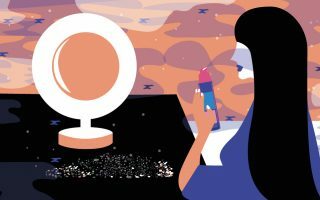 Saccharomyces is used to create fermented skin care products, a trend that originated in South Korea. Fermented yeast adds beneficial nutrients, like amino acids, to the product formulation. Yeast amino acids help to stimulate the skin’s cellular renewal, soothe skin, and increase oxygen flow to skin cells. It is also believed that yeast amino acids can stimulate collagen production. Since collagen is necessary in order to maintain firm, youthful skin, yeast amino acids would be a great addition to anti-aging skin care products. Myristic acid is a common saturated fatty acid with 14 carbons atoms. It was named after the binomial name for nutmeg (Myristica fragrans), from which it was first isolated in 1841 by Lyon Playfair. Myristic acid naturally occurs in several types of oils and fats. For instance, nutmeg butter is comprised of 75% trimyristin, the triglyceride of myristic acid. In addition to nutmeg, myristic acid is found in palm kernel oil, coconut oil, butterfat, 8 to 14% of bovine milk, and 8.6% of breast milk. In skin care products, myristic acid functions as an emollient, texture enhancer, and surfactant. It is a soft wax that melts at body temperature, imparting a velvety texture and forming a protective film on the surface of skin. Over time, this increases skin hydration by causing buildup of water in the stratum corneum (the uppermost layer of skin). Lastly, as a surfactant, myristic acid is compatible with both water and oil, making it an ideal ingredient for cleansers. Nordihydroguaiaretic acid (NDGA) is a phenolic antioxidant found in the leaves and twigs of the creosote bush (Larrea tridentata). The creosote bush is native to areas of the desert southwest in the United States and Northern Mexico. It has a long history of traditional medicinal use by the Native Americans and Mexicans for the treatment of more than 50 different ailments, such as infertility, tuberculosis, arthritis, diabetes, kidney and gallbladder stones, pain and inflammation. In skin care products, NDGA functions as an antioxidant and an anti-inflammatory agent. Additionally, NDGA has been shown to be 100 times more potent than vitamin E in preventing lipid peroxidation (the degradation of fats). When oil on the surface of skin reacts with air, it darkens into a blackhead. Therefore, by preventing oxidation of oil, NDGA may be beneficial to individuals with oily skin, helping to keep skin blemish-free. Caprylhydroxamic acid is an amino acid derived from coconut oil that is used as a preservative in cosmetics and skin care products. It only has antifungal activity, which means that it must be combined with a broad spectrum preservative in order to protect the formulation from contamination with bacteria and other microorganisms. Unlike many common preservatives, caprylhydroxamic acid is very effective at neutral pH levels. In addition to having antimicrobial activity, caprylhydroxamic acid can serve as a chelating agent for iron ions. This is beneficial because mold growth is reduced in iron-limited environments. Collagen amino acids are produced from the complete hydrolysis (breaking down with water) of the protein collagen, resulting in a high amount of a single amino acid, hydroxyproline. In skin care products, collagen amino acids are thought to stimulate the synthesis of new collagen since hydroxyproline is a building block of collagen. This is important since the body produces less and less collagen with age; about 1 percent less collagen in the skin each year after the age of 20. Furthermore, environmental free radicals can degrade collagen proteins. The result is skin that becomes thinner and more fragile with age. The reason why collagen must be broken down into collagen amino acids for use in skin care products is due to the large molecular size of collagen, which makes it unable to penetrate the skin. Rather, it stays on the surface of skin where it can hold moisture and help hydrate the skin, but that’s about it. In order to stimulate the production of new collagen, ingredients must penetrate through the skin to the fibroblasts in the dermis. Since collagen amino acids effectively penetrate through the skin, this ingredient is useful for increasing collagen production to prove a more firm, youthful complexion. Silk amino acid is a natural water-soluble glycoprotein extracted from raw silk. Silk is comprised of two primary proteins: a fibrous protein known as fibroin and a sticky protein known as sericin, with the two comprising 70 to 80% and 20 to 30% of silk, respectively. Silk amino acid blend is produced by hydrolyzing (breaking apart) silk proteins into smaller peptide chains, usually 18 to 19 amino acids in length. The sericin in silk amino acid blend has a high hydroxy amino acid content, which is important for the water-binding capacity that regulates the skin’s moisture content. As a water-based additive, it is used to provide a protective barrier and silky feel to lotions, soaps, hair and skin care products. In addition, because of its high molecular weight, it leaves a semi-occlusive film on the skin that remains even after washing. Sericin also has a unique carbohydrate moiety and a repetitive amino acid sequence, which both contribute to its high affinity for bonding to proteins. The result is a tightening, anti-wrinkle effect. L-aspartic acid is an amino acid. Similar to all other amino acids, it contains an amino group and a carboxylic acid. L-aspartic acid has an acidic side chain which reacts with other amino acids, enzymes and proteins in the body. Amino acids are building blocks of proteins and other important cellular components. For instance, L-aspartic acid is involved in building skin cell DNA. Since cellular DNA can be damaged by free radicals, L-aspartic acid is an important part of the repair process. By building skin cell DNA, L-aspartic acid helps regenerate new, healthy skin cells. Therefore, L-aspartic acid is often used in anti-aging skin care products. L-pyrrolidone carboxylic acid, also known as PCA or pyroglutamic acid, is the cyclic lactam of glutamic acid. It is present in nearly all living cells, from bacteria to humans, where it is derived from glutathione (an antioxidant). L-pyrrolidone carboxylic acid is also one component of the Natural Moisturizing Factor (NMF) found within the epidermis. Together with the naturally-occurring lipids in skin, NMF components work to keep the skin’s surface intact, supple, and hydrated. In skin care products, L-pyrrolidone carboxylic acid primarily functions as a humectant moisturizer. After topical application, humectants have the ability to attract and retain the moisture in the air nearby via absorption, drawing the water vapor into or beneath the surface. L-pyrrolidone carboxylic acid also helps to restore the NMF. This is important since the NMF can become depleted with age and also from routine exposure to sensitizing ingredients, which leads to dry, tight-feeling skin. Overall, L-pyrrolidone carboxylic acid helps the skin to look and feel more smooth, hydrated, and firm. The name kojic acid derives from “Koji”, the Japanese common name for a species of fungi known as Aspergillus oryzae. During the fermentation of malting rice, for use in the manufacturing of sake, Aspergillus oryzae produces kojic acid as a byproduct. In skin care products, kojic acid is used as a skin-lightening agent because it is a very potent tyrosinase inhibitor. Tyrosinase is a key enzyme involved in the synthesis of melanin, the pigment that gives skin color. Therefore, by inhibiting tyrosinase, kojic acid is able to reduce abnormal pigmentation associated with aging and exposure to UV light. Multiple studies have demonstrated that kojic acid in concentrations between 1 and 2.5% is an excellent treatment for hyperpigmentation. In fact, kojic acid is sometimes preferred over hydroquinone, the gold standard of skin-lightening agents, because it has a greater stability in cosmetic products. However, kojic acid can sometimes cause contact sensitization and irritation, which means that those with sensitive skin should be cautious when using products with this ingredient. Tranexamic acid is a synthetic analog of the amino acid lysine. It functions as a antifibrinolytic, which means it prevents the breakdown of blood clots. Thus, tranexamic acid is used as a medication to treat or prevent excessive blood loss from major trauma, postpartum bleeding, surgery, tooth removal, nosebleeds, and heavy menstruation. In skin care products, tranexamic acid functions as a skin-conditioning agent and astringent. Additionally, tranexamic acid acts as a skin-lightening agent for the treatment of hyperpigmentation. It is believed to work by inhibiting plasmin, which means that it helps to breakdown proteins in the skin that contribute to melanin (skin pigment) production. Research has demonstrated that tranexamic acid at a concentration of 3% can work as well as hydroquinone, the gold standard of skin-lightening treatments. Ethylene/acrylic acid copolymer is a synthetic copolymer of ethylene and acrylic acid monomers. Ethylene is the simplest alkene (a hydrocarbon with carbon-carbon double bonds), while acrylic acid is the simplest unsaturated carboxylic acid. Ethylene/acrylic acid copolymer functions as a binder and film-former in dyes, adhesives, and skin care products. 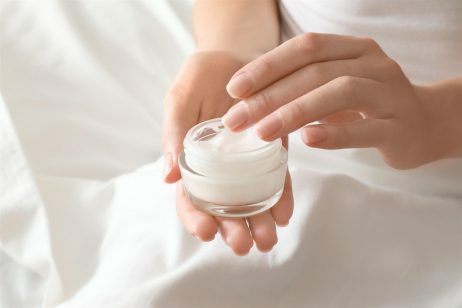 The Cosmetic Ingredient Review (CIR) Expert Panel warns that ethylene/acrylic acid copolymer can be an irritant, therefore, it must be used with caution and under certain qualifications, including careful formulation to avoid irritation. Ethylene/acrylic acid copolymer can also be toxic when absorbed through the skin at high levels. Therefore, it is only a safe ingredient in skin care products when it is formulated to have a low absorption rate. Thioctic acid, also known as lipoic acid or alpha lipoic acid (ALA), is an organosulfur compound derived from caprylic acid (octanoic acid). ALA is made in animals normally, and is essential for aerobic metabolism. It is also manufactured and is available as a dietary supplement in some countries where it is marketed as an antioxidant. When applied to the skin, thioctic acid is considered to be a very potent antioxidant. Thioctic acid is unique in that it is both water and oil soluble, unlike most antioxidants. Furthermore, thioctic acid has the capability of regenerating endogenous antioxidants such as glutathione, vitamin C, and vitamin E. All of these antioxidants work together to protect the skin from free radicals, the unstable molecules that contribute to the formation of premature wrinkles and fine lines on the skin. Upon application, thioctic acid first concentrates in the cell plasma membrane, where it neutralizes free radicals.Then, it moves on to the watery interior of the cell, known as the cytosol, where it can also stop the activity of free radicals and prevent activation of other pro-inflammatory chemicals. Due to its potent antioxidant properties, thioctic acid is often used in anti-aging skin care products. Rice amino acids are derived from rice protein, which is known for being very mild and is often used for sensitive skin formulations. When applied to the skin, rice amino acids act as water-binding agents that draw moisture into the skin. The result is skin that feels more smooth, elastic, and supple. When it comes to preventing signs of aging, maintain skin hydration is vital, which is rice amino acids can be used in anti-aging skin care products. Rice amino acids also help to reduce skin irritation. Phytic acid is the phosphate ester of inositol, a carbocyclic sugar. Phytic acid naturally occurs in seeds, grains, legumes, nuts, and some vegetables. It is sometimes classified as an alpha hydroxy acid (AHA), but it is not a true AHA. However, phytic acid will often be combined with AHAs, BHAs, and fruit acids in skin care products to calm any inflammation that occurs after exfoliation. Another benefit of phytic acid in skin care is that it functions as an excellent antioxidant. It scavenges free radicals, the unstable molecules that contribute to the formation of premature wrinkles and fine lines on the skin. Phytic acid also works to inhibit melanin production, the pigment that gives your skin color or creates age spots, by blocking the entrance of iron and copper in the formation of melanin. Therefore, phytic acid may be able to reduce abnormal pigmentation associated with aging and exposure to UV light. Hydroxyethylpiperazine Ethane Sulfonic Acid or HEPES is a synthetically-derived acid that activates natural enzymes in the skin after topical application. These enzymes help break the bonds that bind dead skin cells to the surface, resulting in exfoliation of the top layers of skin. Exfoliation helps to keep the skin looking bright, firm, and youthful. HEPES also acts as an organic buffering agent by contributing its more neutral-basic pH (7.0 to 7.6 pH) to the cosmetic solution, thereby balancing the nature of its more acidic counterparts. This is why HEPES is often combined with glycolic acid. The acid buffer combination is used in formulations to help prolong and maintain the quality of skin care products. Isostearic acid is a synthetic fatty acid that is a combination of oleic acid and stearic acid. It exists as a liquid and has exceptional stability, including thermal, odor, and oxidation stability. These characteristics make isostearic acid an ideal fatty acid for a variety of cosmetics and skin care productions. In skin care products, isostearic acid offers moisturizing properties and a very light, silky dry skin feel. It also has film forming properties, making it ideal for use in soaps, shaving foams and liquid cleansers. Lastly, isostearic acid is lightly branched, which enhances its dispersing power. This property makes isostearic acid useful for the stabilization of pigments and mineral particles in oils and solvents. Aminobutyric acid may refer to any of three isomeric chemical compounds: alpha, beta, or gamma aminobutyric acid. The one most commonly used in skin care products is gamma aminobutyric acid (GABA). In humans, GABA is the chief inhibitory neurotransmitter in the central nervous system and is also directly responsible for the regulation of muscle tone. One cause of wrinkles is repeated contraction of the muscles in that area, for example, the lines that show up on your forehead from furrowing your brow. Since GABA’s responsibility in the body is to decrease muscle function, it is thought to reduce the appearance of wrinkles in a specific area after topical application. However, there is no concrete evidence that GABA works this way in skin care. One study published in the Journal of Investigative Dermatology found that topical application of GABA can improve the skin’s barrier function. p-Anisic acid is a carboxylic acid found naturally in anise, a flowering plant in the family Apiaceae. p-Anisic acid exists as a white crystalline solid which is insoluble in water, highly soluble in alcohols, and soluble in ether and ethyl acetate. It has antiseptic properties and is typically used as a preservative in cosmetics and skin care products. Preservatives are important because skin care products have a high potential for microbial contamination and growth. The most susceptible products are creams and lotions that are packaged in jars, opened frequently, and applied to the skin with the fingers. Microbial contamination can lead to significant health problems, from skin irritation to infections. To avoid these problems, a safe and effective preservative like p-Anisic acid can be added to the product formulation. Dehydroacetic acid is a synthetic preservative that functions as a fungicide and bactericide. It works by killing off and preventing the growth of microorganisms that contribute to a product’s deterioration. This is important because skin care products have a high potential for microbial contamination and growth. The most susceptible products are creams and lotions that are packaged in jars, opened frequently, and applied to the skin with the fingers. Microbial contamination can lead to significant health problems, from skin irritation to infections. To avoid these problems, a safe and effective preservative like dehydroacetic acid can be added to the product formulation. Dehydroacetic acid is proven to be both safe and effective when used in concentrations of 0.6% or less in cosmetics and skin care products. Capryloyl salicylic acid is an ester of salicylic acid, a beta hydroxy acid (BHA). In skin care products, capryloyl salicylic acid function as a skin-conditioning agent, an exfoliant, anti-inflammatory agent, and antiseptic. It is able to dissolve in oil, therefore, it can get deep into pores and clear them, which helps with acne. Capryloyl salicylic acid also helps to fight acne thanks to its antiseptic properties. Lastly, capryloyl salicylic acid works as an exfoliant by sloughing off dead skin cells from the surface of skin. This leaves the skin looking bright and clear. Tartaric acid is a white, crystalline organic acid that occurs naturally in many fruits, most notably in grapes, but also in bananas, tamarinds, and citrus. It is an alpha hydroxy acid (AHA). AHAs provide many benefits to the skin, such as stimulating the skin’s natural regeneration process, exfoliating the top layers of skin, and helping the skin retain moisture. Tartaric acid also possesses antioxidant activity, which means it is able to strengthen the skin’s defenses against free radicals, the unstable molecules that contribute to the formation of premature wrinkles and fine lines on the skin. Due to these properties, tartaric acid is often used in anti-aging skin care products. Sodium cocoyl apple amino acids is a mild, anionic surfactant derived from apple amino acids designed to provide gentle yet effective cleansing and foaming action. It creates a luscious lather that makes skin feel soft and smooth. Surfactants help to remove oil, dirt, dead skin cells, and other impurities from the skin so they do not clog pores. However, some surfactants can be very harsh and strip the skin of its natural oils, resulting in dry, tight-feeling skin. Natural surfactants, like sodium cocoyl apple amino acids, are gentle and can effectively wash away impurities without damaging the skin. Asiatic acid is a naturally occurring pentacyclic triterpenoid that is found mainly in the traditional medicinal herb Centella asiatica, also known as gotu kola. Research has found that asiatic acid can assist wound healing by stimulating collagen production. Collagen is the main structural protein found abundantly in the skin’s extracellular space, as well as many other parts of the body. It is what gives our skin strength and durability. In addition to assisting wound healing, increased collagen levels can help to reduce signs of aging, such as fine lines and wrinkles. Thus, asiatic acid can be found in anti-aging skin care products. Madecassic acid is a naturally occurring pentacyclic triterpenoid that is found mainly in the traditional medicinal herb Centella asiatica, also known as gotu kola. Research has found that madecassic acid can assist wound healing by stimulating collagen production. Collagen is the main structural protein found abundantly in the skin’s extracellular space, as well as many other parts of the body. It is what gives our skin strength and durability. In addition to assisting wound healing, increased collagen levels can help to reduce signs of aging, such as fine lines and wrinkles. Thus, madecassic acid can be found in anti-aging skin care products.